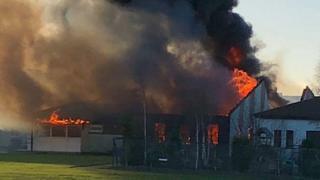 A school devastated by fire last week will be closed to all pupils on Monday and Tuesday, parents have been told. More than 30 firefighters tackled the blaze and prevented it from spreading from its source in the centre of the building. 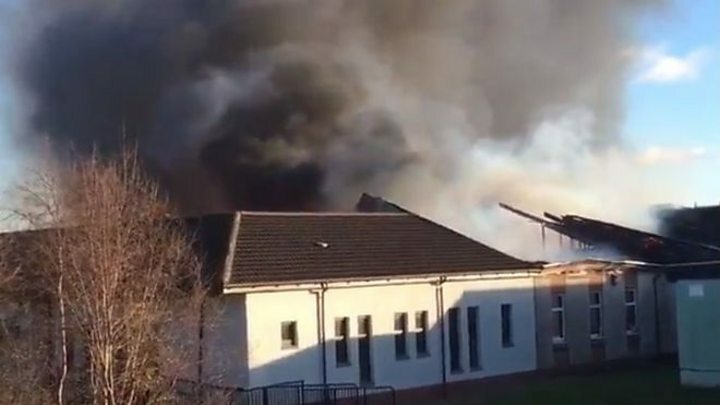 Fife Council said an investigation into the fire was ongoing. Senior compliance officer Neil Finnie added: "We have notified parents today that the school will be closed to all pupils on Monday and Tuesday of next week. "We will continue to work with colleagues on our contingency plan and further details of that will be available early next week." Meanwhile police have praised the community, which pulled together to help those affected by the fire. In a tweet posted on the south west Fife police twitter page, they said they had offers of help for the children, teachers and community. "Everyone was calm and worked together," they added.